HÀ NỘI — Vietnamese Grandmaster Lê Quang Liêm shone at the Sharjah Masters International Chess Championship in UAE on Sunday. 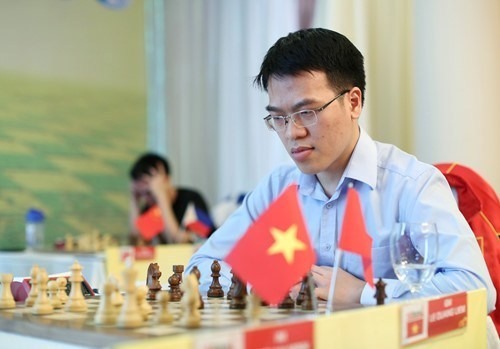 HCM City-born Liêm (Elo 2,715) beat Venkatesh M R of India (Elo 2,517) in the third round after 57 moves. While International Master Khôi (Elo 2,484) tied with Zubov Alexander of Ukraine (Elo 2,605) after 52 moves. After three matches, Liêm ranked fourth out of 150 players and young ace Khôi was in 15th place. Liêm will next face Iturrizaga Bonelli Eduardo of Venezuela (Elo 2,639), while Khôi meets Ganguly Surya Shekhar of India (Elo 2,633). The Sharjah Masters has attracted the participation of 150 chess players from across 30 countries and territories, playing according to the nine-round Swiss system.